Andrew Binning, CEO of Port Elizabeth based marketing company, Inkanyezi, will represent South Africa at the 2017 BRICS & International MICE Cooperation Forum in Xiamen China from November 5-8. Binning, the immediate past president of the Exhibition and Events Association of Southern Africa (EXSA), at the invitation of the organisers, will address delegates from the Meetings, Incentives, Conferences and Exhibitions (MICE) sector from Brazil, Russia, India and China. 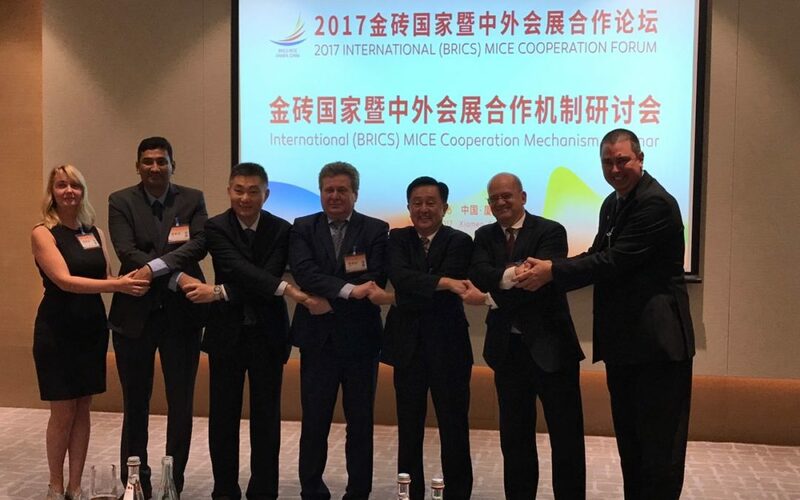 The MICE forum follows a BRICS Summit held in China in September, where it was acknowledged that MICE cooperation would significantly forward the economic and trade agenda in BRICS. Binning is optimistic about the engagement. 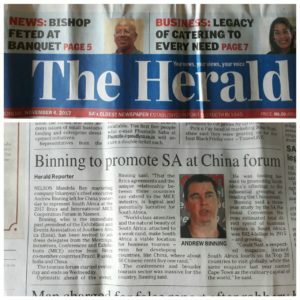 “That the BRICS agreements and the unique relationship between these countries can extend to the MICE industry, is logical and potentially lucrative for South Africa”, Binning said. “The MICE and broader tourism sector is massive for the country so I look forward to promoting our offerings with this influential grouping, Binning said. Binning said that a three-year study commissioned by the SA National Convention Bureau estimated total direct spend of business tourists in South Africa was R42.4bn in 2015 and growing. Condé Nast, a respected magazine, ranked South Africa fourth on its Top 20 countries to visit globally, while the same magazine last year named Cape Town as the culinary capital of the world, Binning said. Inkanyezi, established in 1998, is one of the country’s foremost event and strategic marketing companies, having conceptualised global trade shows in automotive, manufacturing and agriculture, among others. The forum is facilitated by the China Cities Association of Convention and Exhibition and the Xiamen Municipal Bureau of Convention and Exhibition Affairs.